We will NOT be shipping in time for the Spring TCA York Meet. We are as disappointed as anyone by the fact that TrainMinder isn’t finished, but releasing a slap-dash product is the surest way to generate tech support calls ... and unhappy customers. So, yes, we’re still working on it. A lot has been done, but there’s still more left. Since January, our work has been divided among programming the software, revising the program’s look, and finalizing our arrangements with our exciting new partners. We hired a professional brand manager to create a new logo and “look” for the product. The new logo was featured in the two-page advertisement we placed in the TCA Headquarters News. It will also be emblazoned across the TrainMinder splash screen. In addition, we announced our new affiliation with Stout Auctions and RR-Track Software. We are still in the midst of cataloguing Stout’s 53,000 toy train images. It’s a ton of work but, when we’re done, there won’t be another product like TrainMinder anywhere. We’re still not ready to put a final delivery date on TrainMinder because things seem to move unpredictably on this project. What we will be doing instead is publishing our to-do list online. An inventory of TrainMinder’s features and the completion status of each one has been posted and will be updated as we go. In this way, we can avoid having to drop everything to do a full-blown update to the TrainMinder website just to post a progress report. Adding dates to a features list has the dual advantage of being relatively easy for us to do and while serving as an effective way of letting everyone know where we are on the project. In hindsight, the prospect of posting all the latest news on the Internet every two weeks only served to take us away from working on the core project. We have also posted the latest screen shots of all the features we’ve completed since the last update. These include all the view and inquiry screens and the Price Guide Browse screen. We are still taking names and preliminary order information, but we are still NOT taking credit card information at this time. We continue to believe strongly that everyone would be best served by taking this information in conjunction with shipping the actual product. 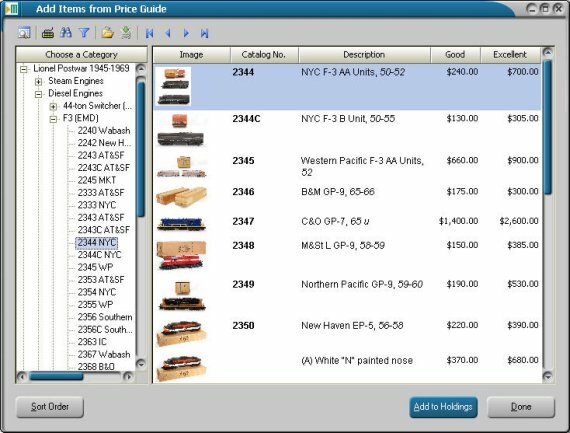 When trainMinder ships, orders will be fulfilled on a first come, first serve basis, so please visit our Order Signup Page to get on the list. Finally, if you haven’t already done so, you might also want to sign up for our UpdateMinder service to be sure to receive the latest communications as they become available. In addition to the above, we will update the “to-do list” page on this website as each item is completed. We thank you for your continued patience and can assure you that completing trainMinder is our highest priority. Please check back often to keep tabs on our progress. Please stop by and see us at the TCA Eastern Division York Meet. We’ll be in the Orange Hall at Booth JJ-08. We won’t have a shipping product, but we will show you what we have so far.